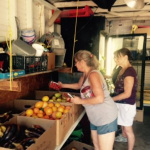 Free produce delivered by Ozark Food Harvest and distributed to the Fairbanks every Thursday. Participants are required to join Springfield Community Gardens for $5 per year. Membership forms are available at the distribution. Free dinner. Free child care. Free resources to support you and your family. Northwest Project maintenance classes meet in the Library following community dinner in the gymnasium. Childcare provided. The goal of The Northwest Project is to pilot strategies over a five-year period to help families overcome the challenges that have kept them living in poverty and sustain their long-term success in emerging from those circumstances. The project includes a focus on 10 key areas for stability. Areas include: accountability, parent training, reliable transportation, affordable housing, quality childcare, budgeting/banking, financial planning, job training/education, resolved legal issues, and health and wellbeing. 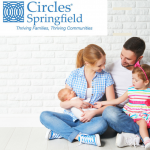 The Community Foundation of the Ozarks selected northwest Springfield for this project because much of the area exceeds the city’s overall 25.6 percent poverty rate. 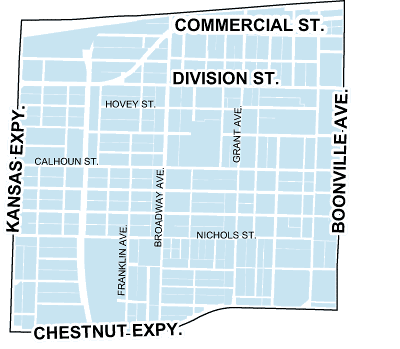 In addition, the privately funded Northwest Project will take place in concert with the City of Springfield’s focus on improving public safety, infrastructure and chronic nuisance properties in this geographic area. 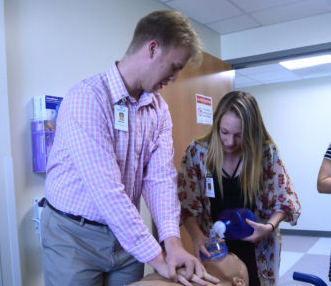 The Northwest Project is a collaboration among Missouri State University, Drury University, and Drew Lewis Foundation. The Grant Beach Food and Family Network is a program for low-income Grant Beach Neighborhood Association members to receive food and household supplies. Participants must be members of the neighborhood association, donate $5 per pickup and contribute two hours of service per month to the neighborhood association by working concessions at Grant Beach Sports events, working in the garden or manning the Hovey House. Food for the boxes is provided by Victory Mission while household supplies, such as toilet paper and other necessities, is purchased with donations. Love reptiles? Curious about them? Want to overcome your fear of them? Reptile Day is the place to go! Our staff consists of knowledgeable people who are passionate about, and keep, these animals as a hobby. This is more than just looking at them through glass. Reptile Day is a hands-on experience featuring real live reptiles to see and touch. Also featured is an exhibit featuring Missouri’s native reptiles, as well as other facts about these amazing creatures. Free literature from the Missouri Department of Conservation is available as well! Reptile Day is fun, free, and all indoors, so whatever the weather, the show will go on! ~Children 12 and under *MUST* be accompanied by an adult. ~Visit our website for more information! Open most weekdays. Please call or stop by to see if anyone is there. If you can volunteer to keep Hovey House open let us know! Meetings are held the third Monday of each month at 6:30 p.m. at St. Joseph Catholic Church. Optional potluck dinner starts at 6 p.m.
Download the Know Your Neighborhood demographic snapshot (pdf) for Grant Beach.